With two decades of experience in the industry, Tasnim is a leading expert in social trends and creative ideation as well as being a brand strategy consultant, speaker, writer and content creator. In her roles at the BBC, Yahoo and Tumblr, she has developed creative strategies for some of the biggest brands in the world, including Warner Bros, Disney, Amazon, Clinique, Twentieth Century Fox, Diet Coke and many more. 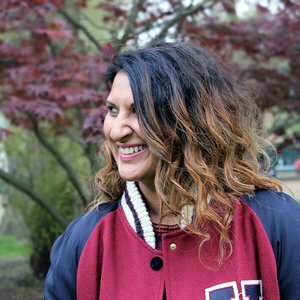 Chosen as one of Campaign's 30 Female Creative Leaders, Tasnim has been featured in Huffington Post and Wired and most recently sat on the judging panel for the Drum Content Awards. She is passionate about creativity, design, Star Wars, dangly earrings and making all aspects of life a little more beautiful.